PROXIMA brings high quality material testing to your scanning electron microscope! 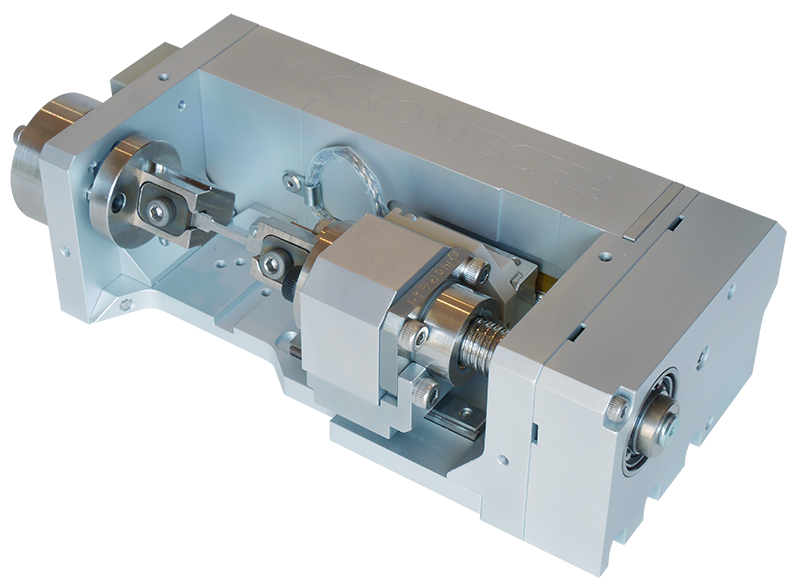 Its unique and compact design allows to perform Tensile, Compression, 3- and 4- point Bending, Arcan Shear and Biaxial testing during EBSD analysis. Inspired by technology. Driven by innovation.Headquarted in Metz (France) since its creation in 2012, MicroMecha has transformed itself into an international engineering company. Copyright © 2019 MICROMECHA / All rights reserved.